It says multiple tasks can be done at a time but actually its not exactly like that. If its single threaded application then it might keep the cpu idle for some time and hence lowers the performance. Lets see the same through example. Read multiple files from a location and write the content of each file to the same destination file by appending each time. i have kept total 3000 files in the source location to read and i will create one thread to read and write one file content in multithreading scenario whereas in single thread scenario for loop iterates 3000 times to read and write 3000 files. Now lets use multithreading to the above program. This is how multithreading helps us to achieve the performance. Good post, but I was wondering why the Reader and Writer were never closed. Isn’t it a problem there? 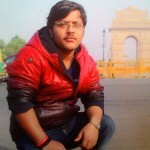 Hi Ashok, Thanks for reading this post and your suggestion. We should close the open resources always in finally block, i have not done it just because i was focusing on multi-threading concept. but in real time application , it is must and should that we have to close it. I will update this post for the same.